Without film preservation, countless classic films would not be available to view, study, and enjoy. Films shot on nitrate and acetate film suffer from deterioration, color fading, shrinkage, and a number of other ailments. In many cases a film element’s survival was dependent on where the elements were stored. A cool and dry storage area is best for films as hot and humid conditions will speed up the deterioration process..
Luckily for film fans there are multiple organizations in the US and throughout the world that are devoted to film preservation. If you’re interested in learning more about film preservation and restoration or helping support a film preservation effort here are some of the major players in film preservation in the United States. 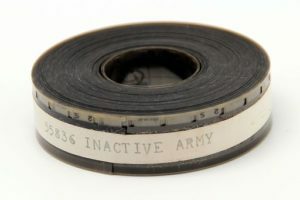 Of note, film preservation is a world-wide effort and archives and film labs regularly coordinate with other archives, studios, and labs around the world to preserve films.